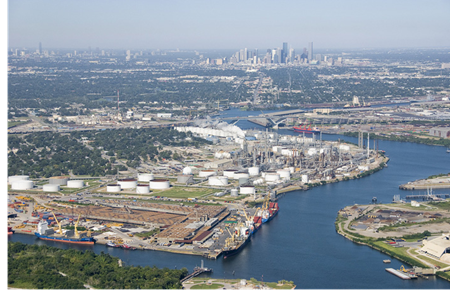 ​​​ ​HOUSTON – Contanda Terminals LLC has signed a multiyear commercial agreement with the Port of Houston Authority for 339 acres on the Houston Ship Channel. With the newly acquired land, Contanda will add another terminal facility that will be built in phases. The automated facility will include onsite processing, multiple ship and barge docks, and tank truck and railcar accessibility. The provider of bulk liquid storage and logistics services already operates three storage terminals in the Houston area and 13 other bulk terminals across North America. ​Read more Houston Industrial Market Research.